Michael Jackson's mum called her son a "damn f***ot" when she found cheques written to the parents of "little boys", his sister claims in rare footage. Video of La Toya Jackson's 26-year-old interview resurfaced over the weekend after documentary Leaving Neverland aired graphic allegations the singer sexually abused young boys at the Sundance Film Festival. Michael's older sister spoke to NBC News in 1993 following claims made by the family of his first public accuser Jordan Chandler. La Toya claimed her mother Katherine was "outraged" when she found evidence of payments in 1984 made to the families of kids who had allegedly slept with Michael. "There were two cheques that I know of that she has shown me and it's for a substantial amount of money and she was outraged over it," she said. "My mother is very much aware of the children that were there. All the boys that stayed there. "That's what she would say all the time. She knows it. And now she's denying it and that's what hurts." La Toya, the fifth of 10 Jackson children and two years older than Michael, claimed underage boys would stay in her brother's bedroom "for days" before emerging. She said: "I know he would have boys over all the time. "They would stay in there for days. And then they would come out and another boy (would go in) and then he would bring someone else. "But never two at a time. "What 35-year-old man sleeps with little boys and stays with them for a week or two weeks or whatever? And sleep in the same bed. "Most people would say, 'That's totally wrong. That's totally unfair.'" La Toya was exiled from her family for a period in the 1990s following her abusive marriage to businessman Jack Gordon - who the Jacksons labelled a "conman" who had brainwashed her. But at the time, La Toya claimed she was speaking out against her brother because she was a victim of abuse herself - alleging her father Joe molested her when she was a child. She claimed that her family feared being cut off by Michael - who at the time was one of the biggest stars in the world. La Toya said: "He supports everyone." Katherine Jackson was one of the main beneficiaries of Michael's vast estate when he died in 2009 from a drug overdose. Angered at her mother's silence, La Toya said: "Why didn't she say something about it or do something about it or get help because she thought he was bothering little kids. "I didn't understand the fact that he was bothering little kids. I didn't understand why the cheques were written. "She was the one who was trying to explain these things to me. But now she's denying it and covering it up." "He would be in his room, saying, 'I don't want to see them. I don't want to be bothered with this.'" In 1993, the Jackson family claimed that La Toya's husband had forced her to make the allegations against her brother for financial gain. The same year, a civil lawsuit was brought against Jackson by Jordan Chandler, a former child companion of Michael. By January 1994, the singer paid an out-of-court settlement of $US23 million to Chandler. 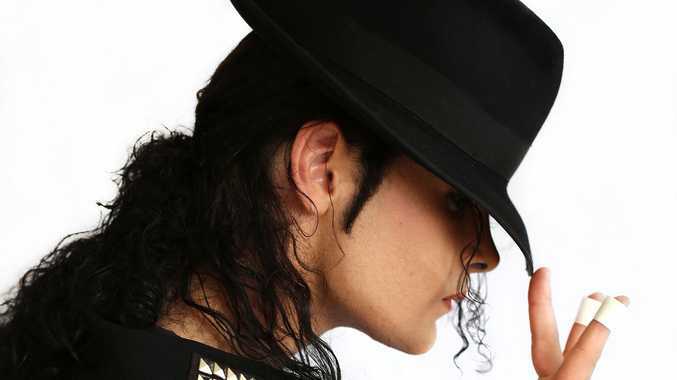 Two of Michael's other accusers Wade Robson and James Safechuck have spoken of their experiences with the Thriller singer in the upcoming documentary Leaving Neverland.